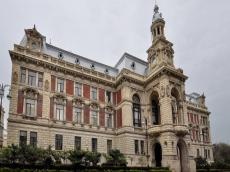 Azerbaijan's Cabinet of Ministers has made a decision to create the Baku City Capital Construction and Overhaul LLC, subordinate to the head of the Baku executive power, as well as to determine the number limit of its employees, Trend reports. The decision was signed by Azerbaijan’s Prime Minister Novruz Mammadov. The State Committee for Property Affairs has been entrusted with taking measures to approve the charter of the company and its undergoing state registration, and the executive power of Baku has been entrusted to resolve the issues arising from this decision.